22 December 2017, at 12:09a.m. 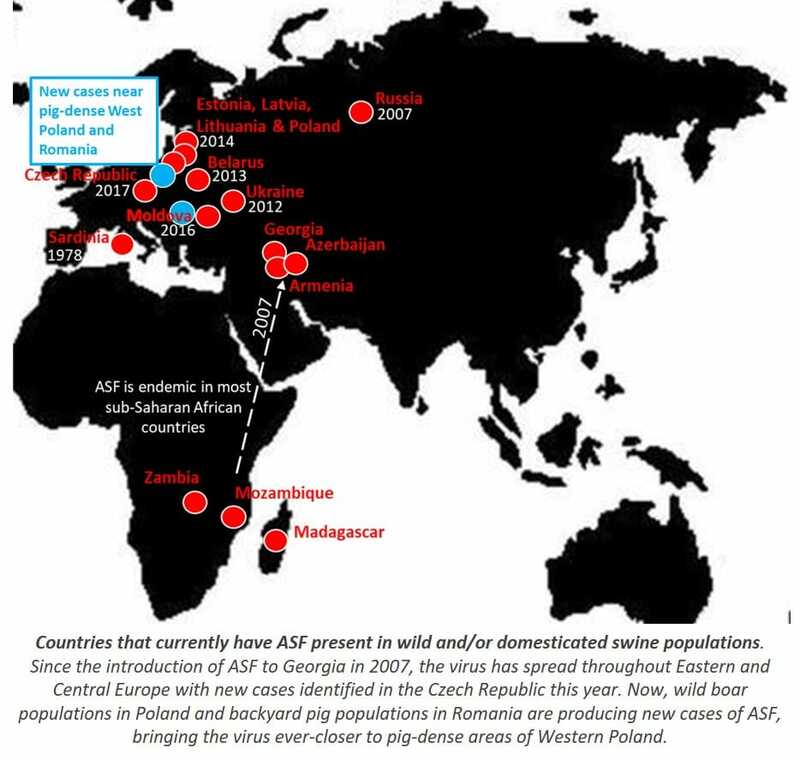 Within the last month, African swine fever (ASF) has been identified on farms within Eastern-Europe, namely the Czech Republic, Romania and Poland, bringing the number of affected EU states to six. The swift movement of the virus has authorities concerned, as the high virulence of the disease means substantial mortalities on farm. Educating citizens on proper disposal of waste in areas populated with wild swine species, and control of food-waste feeding to domestic pigs is critical in stopping the spread.